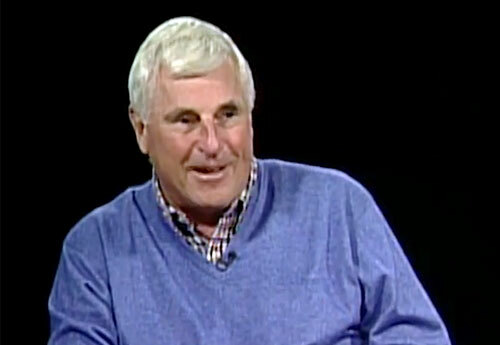 Bobby Knight is is a retired basketball coach as well as a former NCAA basketball player. As a player Knight won an NCAA national championship in 1960. During Knight’s coaching career he won three NCAA championships and five NCAA Final Four regional championships. Knight was both assistant coach as well as head coach for the Army team from 1963–1971. From 1971–2000 Knight was head coach at Indiana University and from 2001–2008 as head coach at Texas Tech. Knight was also the U.S. Men’s Olympic Team coach for the 1984 Olympics. PFP Sports Talent Agency is a top booking agent for motivational sports speakers and sports personalities. If you would like to book NCAA stars like Bobby Knight for a speaking engagement, personal appearance or special event, you can request Bobby Knight agent and speaker information from PFP Sports Talent Agency or call 800.966.1380.